Over the past couple of years regular yogurt has taken a back seat as the go-to product, while Greek Yogurt has taken the spotlight. Greek Yogurt started becoming popular a few years ago, and is now seen everywhere in grocery stores with sales growing rapidly. Greek Yogurt has been strained to remove the whey more than regular yogurt, leaving it creamy and tasty. Regular and Greek Yogurt both carry natural bacteria and probiotics that aid in a healthy gut, but Greek Yogurt has even more health benefits including higher protein and lower carbohydrates and sodium. 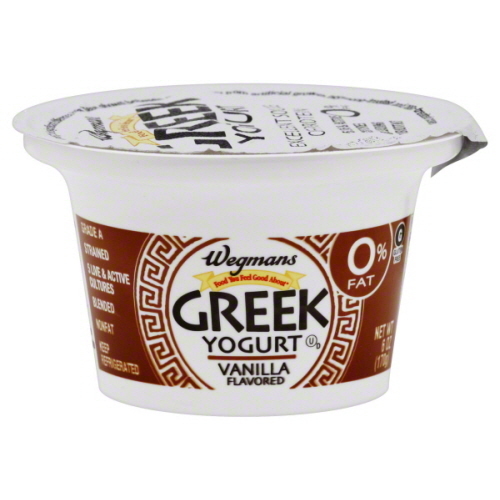 When comparing one brand of Greek Yogurt to regular yogurt, the Greek Yogurt had 18g of protein compared to 8g in the regular. This can make a big difference in feeling full and satisfied for a longer period of time. When recommending snacks to clients I emphasize getting a good balance of protein and carbohydrates to hold you over in between meals. With the amount of protein found in Greek Yogurt it is a great snack or addition to any meal to round it out. Another reason why Greek Yogurt is a good choice is because of its versatility. Because of its taste and texture, it is a great replacement for sour cream or mayonnaise. I often use plain Greek Yogurt in place of sour cream when eating quesadillas or chili. It tastes great, adds a nutritional punch and won’t give you any unwanted calories! Another delicious option is to add it to smoothies to increase protein more naturally. You can also use Greek Yogurt in baking in place of butter and oil, and as a replacement for mayonnaise when making potato salad. So which brand to buy? My go-to’s are Chobani and Fage. They are both great products that taste delicious. Fage has an authentic taste and a very creamy texture. 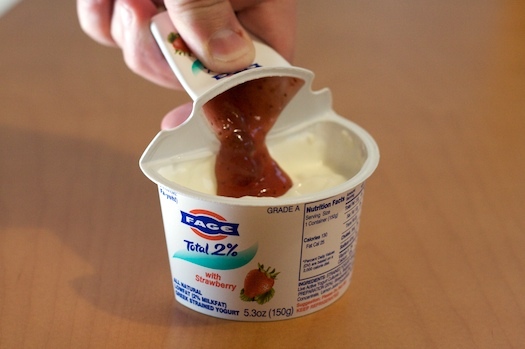 I also like that with Fage the fruit flavors are on the side so you can add as much or as little as you like. 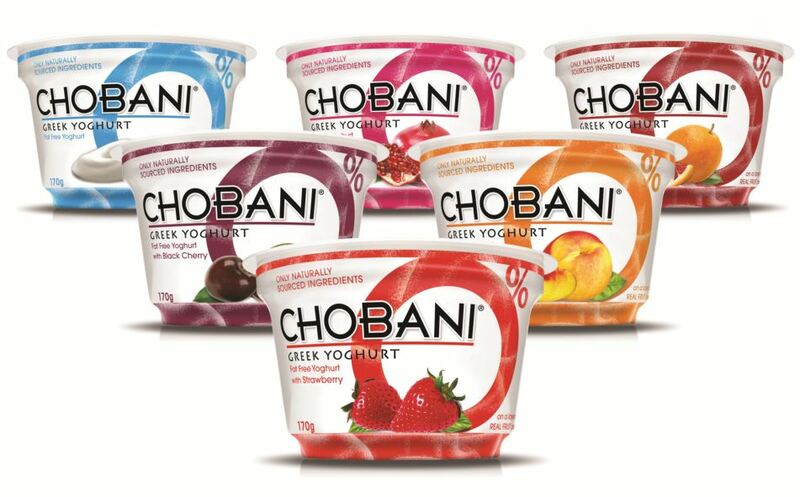 Chobani is a great brand with a good variety of flavors and a delicious product. When it comes to cost of Greek Yogurt it can be much higher than regular yogurt ($1.20+ for one yogurt). This is due to customer demand and the extra labor that goes into straining the yogurt. Chobani often has good deals in the grocery store and they also have a 4-pack that sells for $4.00 at Wegmans. Another option is to buy the store brand versions of Greek Yogurt. I often buy these because they have the best deals. Compared to $1.20 or more, the store brands are usually around $0.80-$0.90. I buy the store versions from Wegmans and Giant and am pleased with the taste. When it comes to dairy, low fat or fat free are better options. It is also best to buy plain versions since they are lower in sugar and add your own toppings. 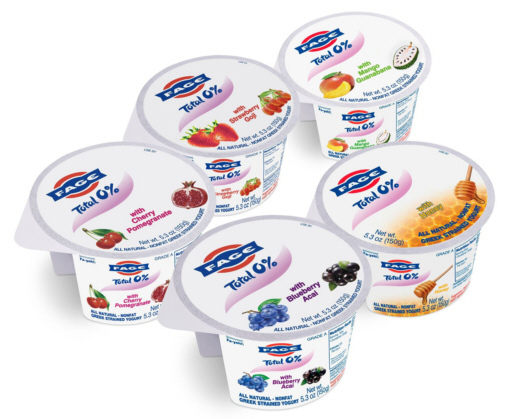 I enjoy flavored Greek Yogurts, which can be a little higher in sugar, so a good rule of thumb is to find a flavor with about 16g of carbohydrates or less. If you are not a Greek Yogurt lover, don’t fret. 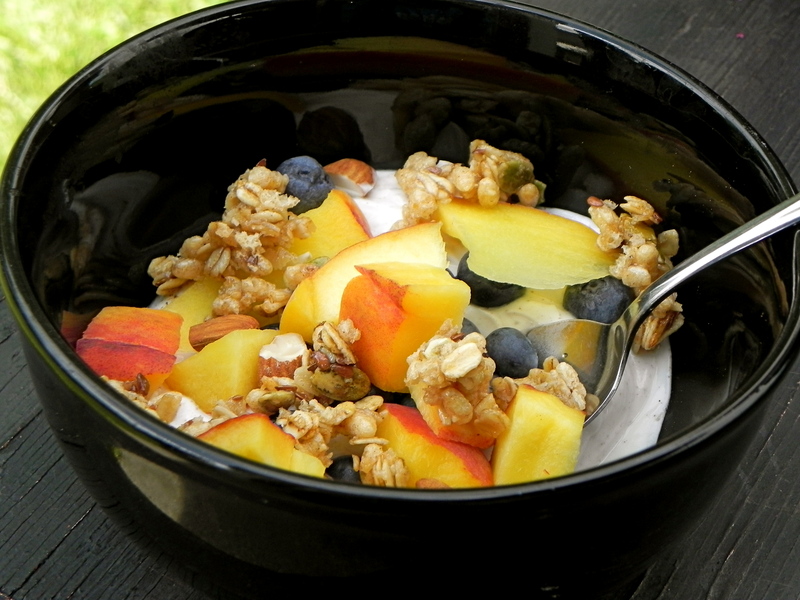 Regular yogurt is still a good option to help you get your dairy servings for the day. What’s your favorite way to eat Greek Yogurt? « 22 Nutrition Fun Facts! Sometimes I add plain yogurt to pasta sauce to thicken it up and add protein. It’s really a great substitute for any recipe that calls for sour cream!